curtain rods from the latest collection of Deco Window is a great way to give a new dimension to any space in your house. It will surely enhance the ambience of your living room when teamed up with any contemporary curtain. Featuring an attractive design, it will surely impress your guests. 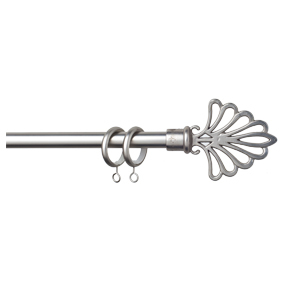 Home or office decor by jazzing it up with this curtain rod from Deco Window. It will impeccably complement any kind of room decor. Made of from premium quality, the rods look ravishing and would last long.